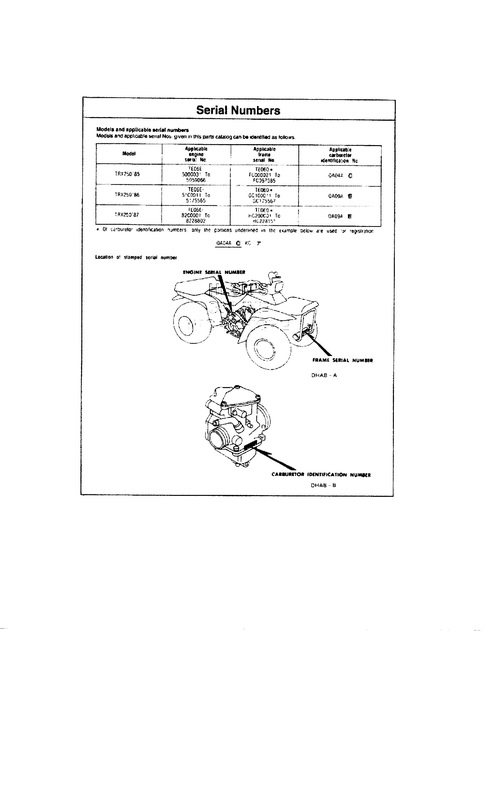 Honda TRX Forum > Honda TRX Discussions > TRX General Discussions > 1987 trx250x vin location? I believe I have a 1987 trx250x. I have been all over the forums and google. And I can not find a vin period. The frame has been painted years ago and i have removed paint in several different locations where it's supposed to be. Can someone post a pic of an 87 frame vin location please? I was just trying to find this information yesterday and for posterity's sake I thought I would put that up there.